UGC NET 2019 | The National Testing Agency (NTA) online application correction window for UGC NET June 2019 exam closes on Sunday, 14 April. The process began on 7 April on the official NTA website ntanet.nic.in. Through this process, candidates could make required changes in the application form submitted for the upcoming UGC NET 2019 exam. Admit cards for the examination will be released on 15 May. Candidates can download them from the official website. The NTA conducts the National Eligibility Test (NET) on behalf of the University Grants Commission (UGC). 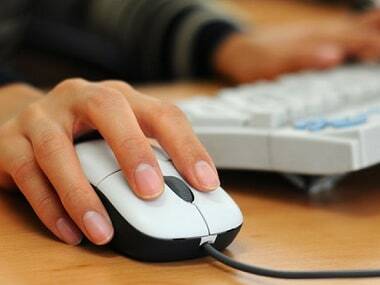 The computer-based test is scheduled to commence from 20 June and conclude on 28 June. The result is expected to be declared on 15 July. Step 1: Visit the official website of NTA — ntanet.nic.in. The home page for the UGC NET June 2019 Exam will appear on your screen. Step 2: Click on 'Application Form Correction – June 2019'. Step 3: Enter the application number and password to login. Step 4: Candidates can make corrections by modifying any field in their application form. The NTA is not charging any additional fees to make corrections in the online application form. Step 4: For future reference, it is advised to keep printouts of the confirmation page of the online application form. No corrections will be allowed after 14 April on the forms. NET is conducted each year to hire candidates for the posts of Assistant Professor and offer them Junior Research Fellowships. Selected candidates will be eligible to be hired by Indian universities and colleges. This year, NTA will conduct the examinations on multiple dates, generally in two sessions per day. The exam is 180 minutes long, with no breaks between Paper I and Paper II.